Northwest Coast natives are considered six ethnographically distinct peoples, the Coast Salish, the Nuu-Chah-Nulth (or "Nootka"), the Kwak-Waka'wakw (Kwagiutl), the Tsimshian, the Haida and the Tlinglit. The art carried in the Judy Hill Gallery represents all of these regions with the exception of the Tlinglit. As a general overview, the Haida inhabited the Queen Charlotte Islands. On the west coast of Vancouver Island lived the Nuu-Chah-Nulth ("Nootka"), while the Kwak-Waka'wakw (Kwagiutl) inhabited the north region of Vancouver Island and the mainland directly opposite. The Salish occupied the delta of the Frasier River and some southern parts of Vancouver Island, and were distributed southward down the Washington coast; one of the groups of Salish people occupied territory to the north near Bella Coola River. The Coast Salish inhabited the coast of the mainland from Bute Inlet in British Columbia to the Columbia River, dividing Washington and Oregon and those areas on Vancouver Island not occupied by the Kwak-Waka'wakw (Kwaguitl) and the Nuu-Chah-Nulth ("Nootka"), from Johnstone Straight to Port San Juan. They also occupied vast areas of western Washington state. For a map of all BC First Nations Regions, go to the B.C. Museum of Anthropology's Regional Map by clicking here. 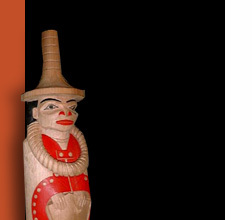 For an overview of the history of the First Nations in BC, go to the Canadian Encyclopedia entry of People of the Northwest Coast by clicking here.